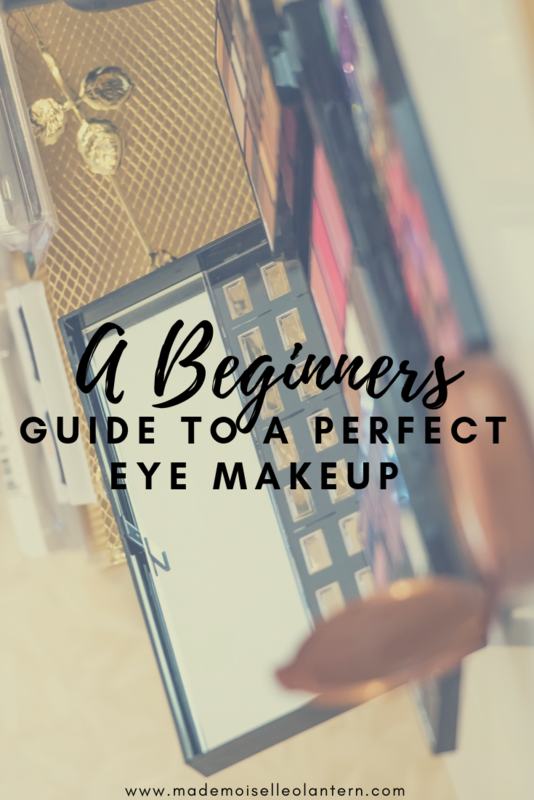 Today, I am sharing with you some of my favorite tips to achieve a perfect eye makeup look. This post will include general tips like how to have a good base, how to have a makeup look that goes with your eye shape and so forth. I already shared with you my tips for a perfect smokey eye and a perfect wing line. I plan on to share with you my tips to achieve the perfect cut crease but that’s later. Don’t skip this part because honestly, it makes a huge difference, especially if your eye lids tend to be dry. In order for your eye makeup look to look smooth and nice, I highly recommend to hydrate your eyes before, like this, you’ll be sure to have a smooth base to apply eyeshadows and liners, two products that can look horrible when your eyes are dry. 2- Eyeshadow Primer is a must! If your eyes are really dark like mine, means you look like you have eyeshadow on even though you don’t and we can easily see your veins, I would advice you to go for a concealer as an eyeshadow primer. This will perform the same way as an eyeshadow primer, except that it will give you extra coverage. I, of course, recommend you to set your concealer so it doesn’t crease. Usually, an eyeshadow primer/concealer 1) will make your eyeshadow last longer 2) will accentuate the eyeshadow color 3) and it will be harder for you to remove your eyeshadow even if you rub your eyes. I love that step a lot because it really gives my eyes more definition. I usually contour my eyes with a shade darker than my transition shade [depending on the eye makeup look I am going for of course] or with my bronzer [if I am not wearing any makeup]. I usually contour my eyes to enhance my eye shape and I think this what makeup is all about, to enhance your features; I love the shape of my eyes so that’s what I will enhance in my face. Each eye shape is different and needs different contouring techniques. 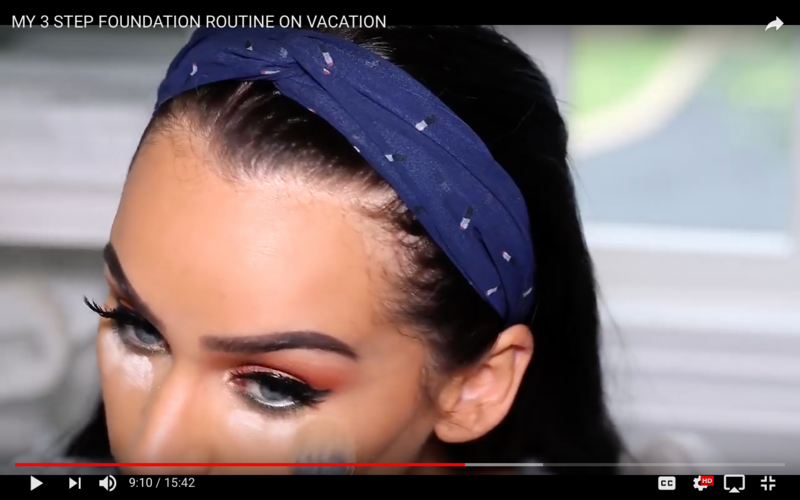 I personally follow these “rules” only when I am going for a simple everyday makeup look. I think this step is crucial because I find the eye makeup to be incomplete without highlighting my inner corners. Applying a light shade [or a pop of color] in your inner corners just lock in your eye makeup look and it also opens up your eyes. For this part, you can use the highlighter you applied on your face and put in your inner corners and brow bone. how I apply eyeshadow in my lower lash line? I usually take a really thin brush with a dark shade [same shade I used to contour] and apply it very closely to my waterline then with a fluffy pencil brush, I apply the same transition shade I used for my crease and just blend out the dark shade. This step is pretty hard to do but trust me, it makes a big difference. This technique basically consists of applying a black eyeliner in the upper waterline 1) to darken the roots of the upper lash line 2) to make the eyelashes look fuller. My personal favorite to tightline is the Essence Long Lasting Eye pencil. I think this step should be embedded in everyone’s makeup routine because it makes applying mascara easier and it actually curls your lashes. I wouldn’t recommend you to heat your eyelash curler because like your hair, your eye lashes can be damaged and I will also advice you to take care not to pull out some of eye lashes when you curl your lashes. I cannot believe some people do not wear mascara on their bottom lashes, this is like a sin to me but well. I love applying mascara on my bottom lashes because it makes my eyes look bigger and without it, I feel like my eye makeup is incomplete. 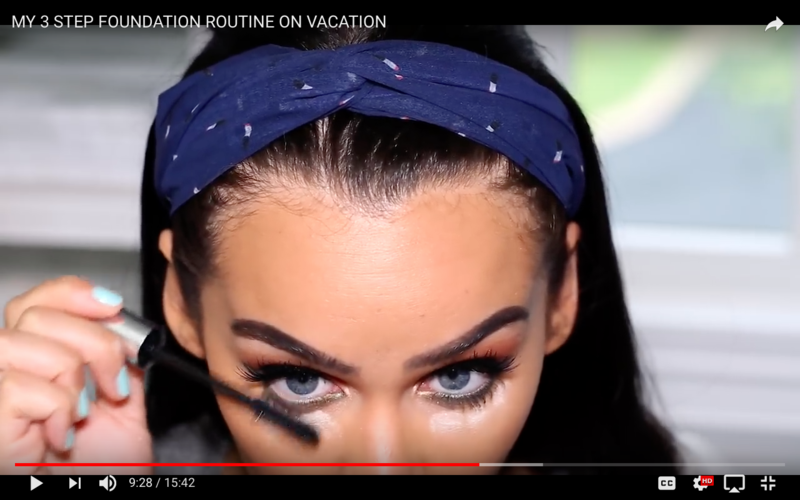 Carli Bybel gave a super useful tip to make sure you don’t mess up your face makeup when applying bottom mascara and that’s to apply a bit of loose powder under your eyes, like this, if you have any excess mascara, it will go on the loose powder and you’ll be able to swipe it away! You covered it all! What a helpful guide! Ah! I needed this bad. I will be using these tips and tricks for years to come. Thanks! Such a useful guide, and I love a good eyeshadow primer! thank you, this is so sweet!! This is so helpful because I am completely inept at putting on proper eye makeup. Great post! This such an easy and straightforward tutorial. I’m honestly in love. This was super helpful! I am at about a 7th grade level when it comes to applying makeup, lol, so I definitely needed this. My eyes are very sensitive to make-up in general. I have tried allergy free, but then I feel like it doesn’t wear like it should. Do you have any tips for sensitive eyes? I loved your information. Thanks very much!! Sadly, I’ve never researched it but I definitely should, I think it will be useful for people like you who have allergies. I will let you know what I find when I do my research!! Oh wow! I am going to try tight-lining- and I def need a primer! I like to use beige eyeliner instead of white, but yes that’s a great tip!! Thanks for reading, I am happy you enjoyed!! I love the side by side comparison of tight-lining!